More than 60 participants attented the 3rd Arb|Aut Forum jointly organized with the University of Vienna. Günther Horvath and Johannes Reich-Rohrwig delivered excellent keynotes on "Party Appointed Arbitrators and the Independence of Arbitrals Tribunals". After a lively debate the evening ended with a drinks reception. Visit our Gallery for photos of the event. On 1 June 2017 an amendment of the Austrian Act on the Economic Chambers (WKG-Novelle 2017) passed the second chamber of the Austrian Parliament (Bundesrat). The amendment will become effective upon its publication which is expected to happen this June. The amendment grants VIAC the right to administer also purely domestic arbitrations. 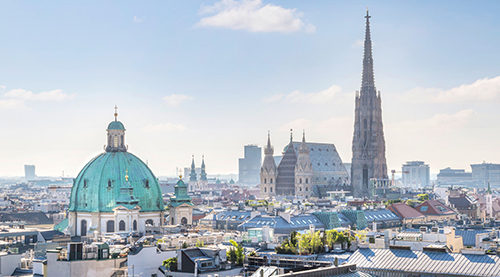 VIAC is currently working on an amendment of its Vienna Rules to reflect these changes in their set of rules. Arb|Aut highly appreciates the amendment and believes that the unlimited right of VIAC to administer all kind of arbitrations will make domestic arbitration more attractive. On 12 and 13 June 2017 speakers from around the world, representing judiciaries, academics, dispute resolution institutions, online dispute resolution providers and start-ups will share their expertise in Online Dispute Resolution ('ODR'). The conference will demystify ODR and explain why and how it offers increased access to information and justice, a great value particularly in emerging economies, conflict zones and remote areas, and how online environment affects dispute resolution. Details can be found on ICC's website. Save the date for the Arb|Aut and YAAP Summer Drinks on 13 July 2017. More details will follow in our next newsletter.